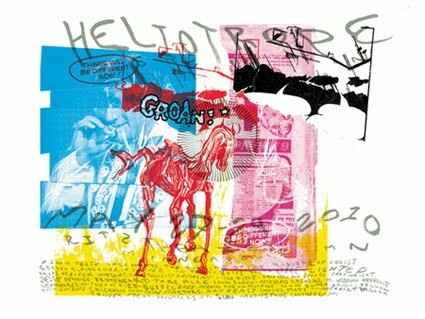 But here's the 6 color poster we made for the show. Get it while it's get-able. 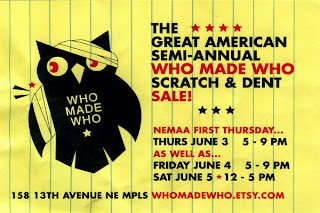 The Great American Semi-Annual Scratch & Dent Five Dollar Poster Sale* kicks off in June 3rd in conjunction with NEMAA First Thursday Gallery Stroll from 5-9pm. 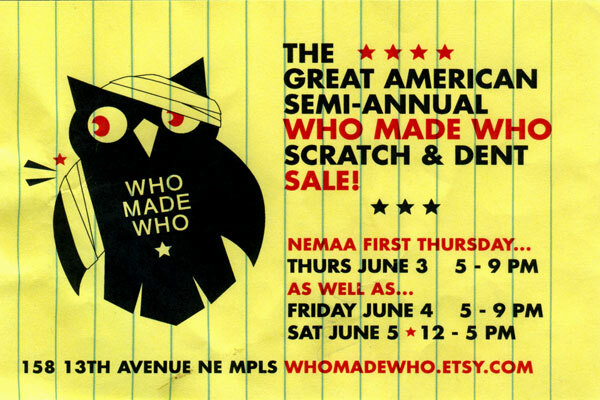 And then continues on all weekend Friday, June 4th from 5-9pm and Saturday, June 5th from 12-5pm. Free homemade mini cupcakes*. 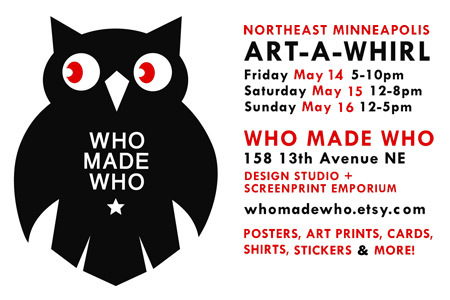 Join us for our 3rd year at Art-A-Whirl, the premiere Northeast Minneapolis Studio Crawl. 13th Avenue NE is gonna be hoppin' this year and we'll be waiting for you to stop by! Free mini cupcakes while supplies last. 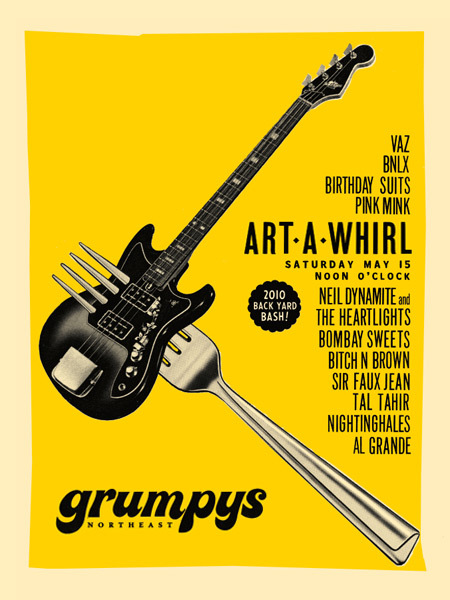 And be sure to check out Grumpy's NE Backyard Bash this Saturday, May 15. Poster by Who Made Who!